Motorists are being reminded to update their toll tag account details when buying and selling a vehicle this January. New car registrations surpassed 146,000 in 2016, the highest since 2008, and it is expected that cars sales for 2017 might be similar. Final sales figures for 2016 also showed that light commercial vehicle sales increased by 18.3 per cent while heavy goods vehicle registrations were up by 31.3 per cent compared to 2015. Provider easytrip, is urging owners of new cars and vans to keep their vehicle details up-to-date to avoid incurring toll bills and eflow penalty notices stemming from use of the M50. Buying a new car: if you have bought a new car and transferred your existing tag to it but forgot to update your account details, you will risk receiving a toll bill (billed at the higher rate ) and penalty charge if you have travelled through the M50 toll plaza as your new car registration is not connected to your toll tag account. Selling your old car: if you have sold your old car and inadvertently left your tag in the car and have not updated your toll tag account, the new owner could continue to use your tag at most barrier toll plazas, racking up a bill connected to your account. 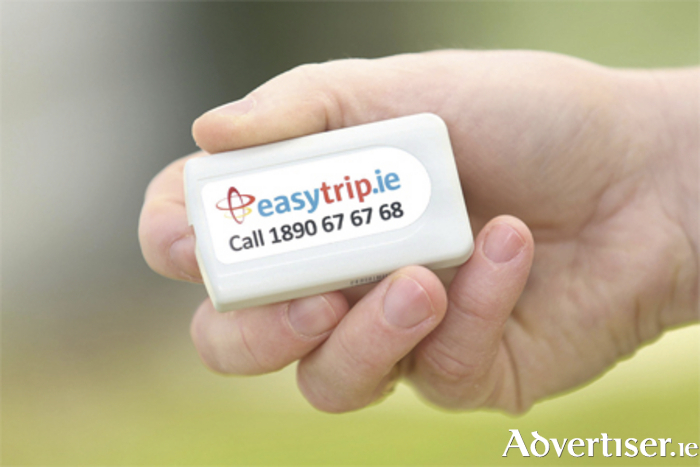 “We don’t penalise customers and we don’t want to see our customers charged unnecessarily, and so we want to remind our customers to remove their tag if selling or trading in their vehicle this January and to update their easytrip account details accordingly,” says Colin Delaney, general manager with easytrip. “Likewise, if you’re purchasing a new vehicle please ensure that you update your account once change of ownership has been finalised.